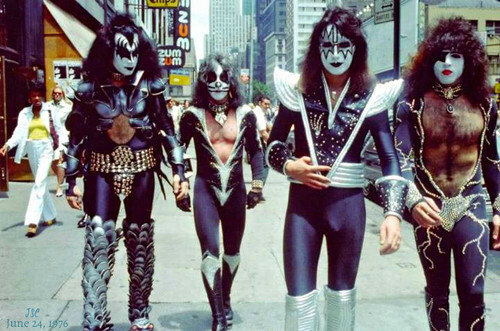 KISS ~NYC…June 24, 1976﻿. . Wallpaper and background images in the KISS club tagged: photo kiss paul stanley ace frehley peter criss gene simmons nyc…june 24 1976﻿.